Complete Reassurance with Total Data Protection: Datto SIRIS 3. 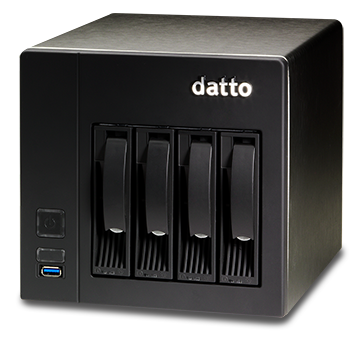 Datto SIRIS 3 is a platform designed to provide your business with a Business Continuity / Disaster Recovery plan (BCDR) for your IT systems. Ideal for small to medium sized businesses, Datto SIRIS 3 integrates seamlessly into your existing systems, offering faster backups and recovery times than ever seen before, leaving you with more time to grow and develop your business where it really matters. Datto SIRIS 3 utilises Instant Virtual Technology, and enables entire infrastructure systems to be replicated or “spun up” within seconds in the event of system compromise or damage. In the event of damage taking place and the Datto SIRIS 3 BCDR being deployed, Instant Virtual Technology enables your business to operate as usual. Tailorable backup schedules dictate when data is saved to the local device, ensuring data is automatically backed up, but also copied to the cloud, with encrypted protection. Image based backup tech (a snapshot of the entire system) ensures that all files, including apps and emails are 100% recoverable. Backups are automatically “spun up” and a snapshot is taken of the login screen. Verification is emailed to users to confirm backup and backup viability. In the event of catastrophic fire, flood, human error or other, the entire system is virtualised to the encrypted cloud. In the event of damage to the server and the local device, the system is recoverable via then encrypted cloud. 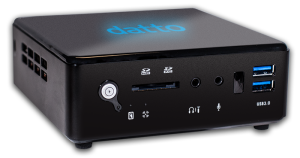 The entire network can be operated on the replacement Datto device until the local systems and devices are restored. Covers single laptops, small servers and straightforward workstations in the one compact, hard working device. Capable of backing up multiple servers or virtual machines, the Desktop size device is well suited to small businesses. Larger businesses and enterprises with multiple servers and virtual machines are best suited to the Rack Mount models. Device capacity ranges from 500GB to120TB with field upgrades available to provide additional capacity as business grows. A failsafe BCDR in 2019 is crucial for businesses of every size. To find out more about the BCDR services we offer at TekSupport and to learn more about the various platforms we can tailor to suit your unique business requirements, call us on (03) 9590-0560 today.